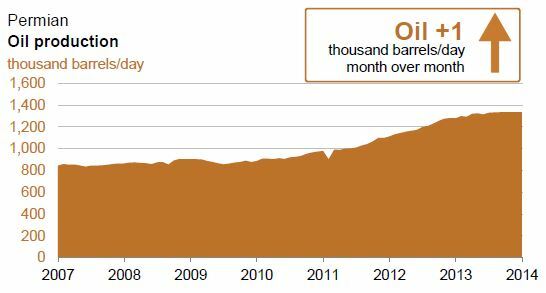 Data from the Energy Information Administration shows that Texas’ oil production is now the highest it’s been in thirty years. 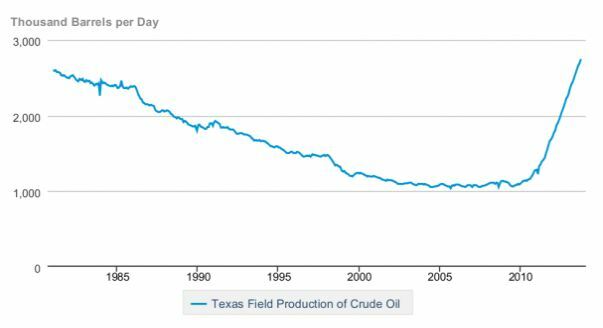 Texas crude production is now approaching 3 million barrels/day, a rate not seen since the 1960’s. 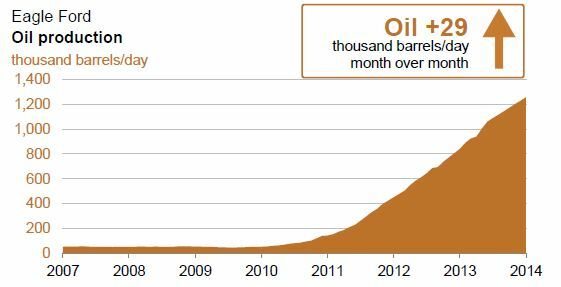 Below are EIA graphs showing production of oil from the Eagle Ford and the Permian Basin. 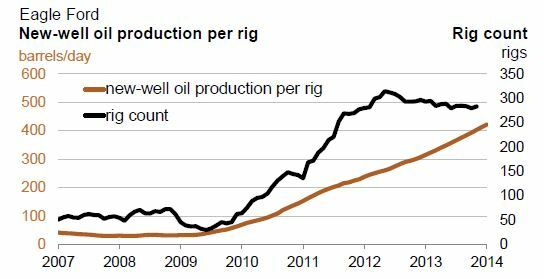 It appears that Eagle Ford production rates will soon surpass production from the Permian. 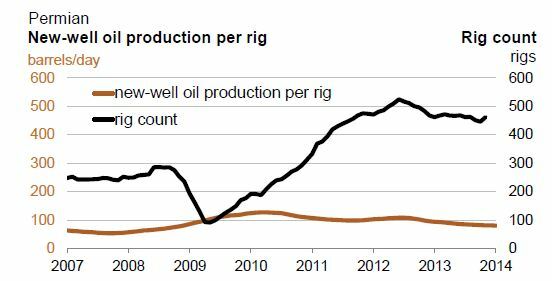 EIA also calculates changes in the initial productivity of new wells in each field, a measure of the improved efficiency of rigs in the field. The graphs below show that new wells in the Eagle Ford are improving substantially; not so in the Permian. IP rates of Eagle Ford wells are now substantially higher than in the Permian.